The world of "Fallout" has a lot of iconic landmarks. 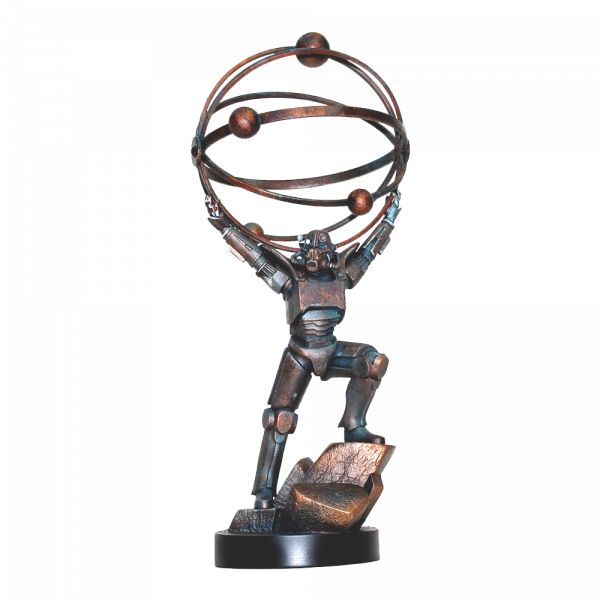 One of the most memorable ones is probably the Atomic Atlas, Fallout's variant of the greek god, holding the celestial axis in Power Armor. This statue has been created with Bethesda's 3D assets and is taken straight from the game. Standing approx. 15" inches tall and made from injection molded plastic, it's sure to be a landmark in your home as well. Limited edition, manufactured by Chronicle Collectibles.